1964. 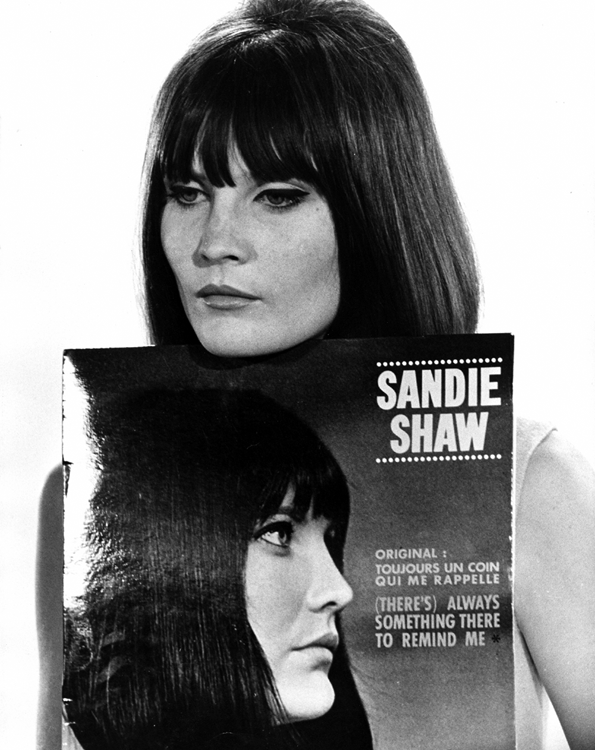 17-year-old Sandy Shaw hugs the cover of her first hit, Always Something There to Remind Me. She will go on to rack up more than 20 Top 40 hits and more number ones than any female artist in the sixties. Her most famous song will be Puppet on a String, with which she will win the 1967 Eurovision Song Context for Britain, performing as always with bare feet. But it will be a close call, with the BBC wanting to find a replacement on the eve of the competition in case her risqué image following an adultery case might damage the nation’s chances of winning.